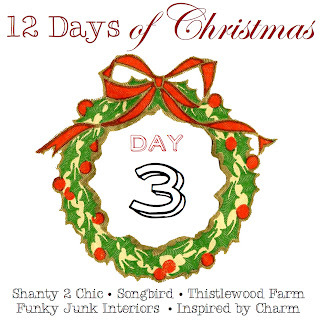 On the third day of Christmas, my true love gave to me: three French hens, two shopping guides, and a really cute holiday card. That’s the way the song goes, right? If not, let’s just pretend. Now, I know Christmas isn’t about the presents, but I have a confession to make. I love giving (and receiving) presents. Shopping for, wrapping, and giving gifts is actually one of my hobbies. I genuinely enjoy it. This year I had the opportunity to put together two fabulous gift guides for my friends at Better Homes and Gardens and for the creative minds at Uncommon Goods. Putting a shopping guide together is an especially fun thing to do! It’s like being able to shop without actually having to spend money. Too bad I don’t get all of my selections delivered to my door! 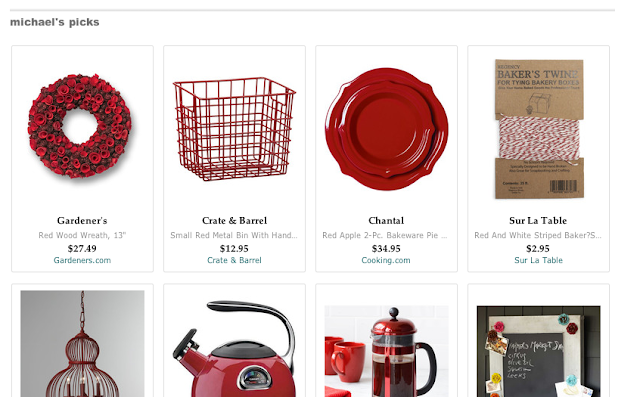 My BHG shopping guide was inspired by the color red. Because, when I think of the holidays, red is the color that comes to mind.. From the jolly man’s suit to cranberry sauce and a famous reindeer’s nose, red signifies a season of cheer and pure merriment. 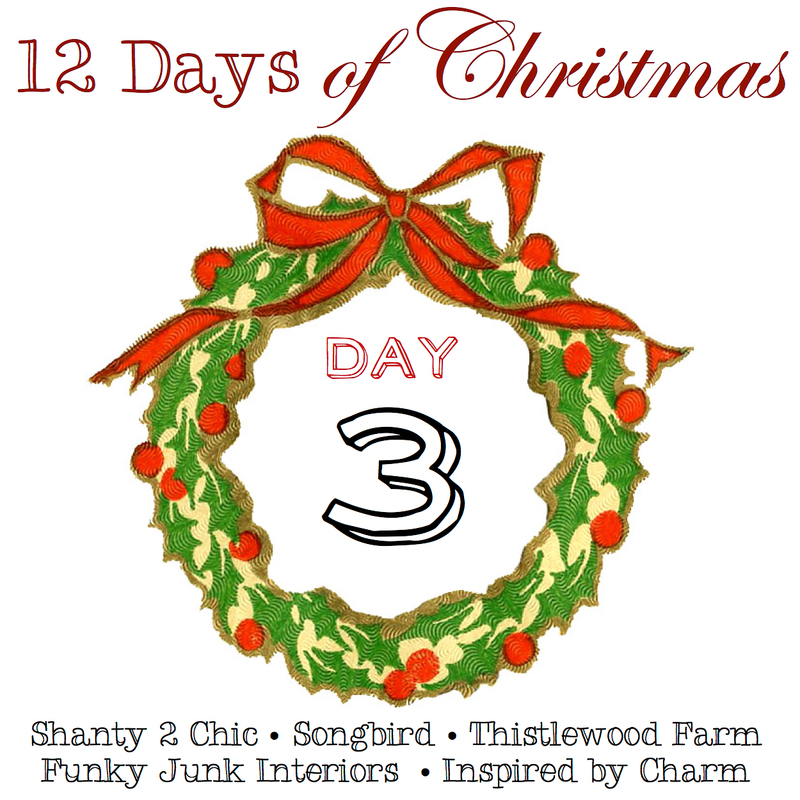 Inspired by this color, I chose this fantastic collection to help you decorate, bake, and celebrate this festive season. On the other hand, my guide for Uncommon Goods was inspired by my inner entertainer. I love a good party. From the food and drinks to the special memories with family and friends, nothing beats a fun night at home. This collection is all about keeping the “entertain” in entertaining. These unique accessories are sure to add a touch of whimsy to your home and leave your guests smiling all evening long. Click hereto see the entire collection. I know many of you Christmas-tradition lovers might not be fans of this, but I am head-over-tenticals in love. 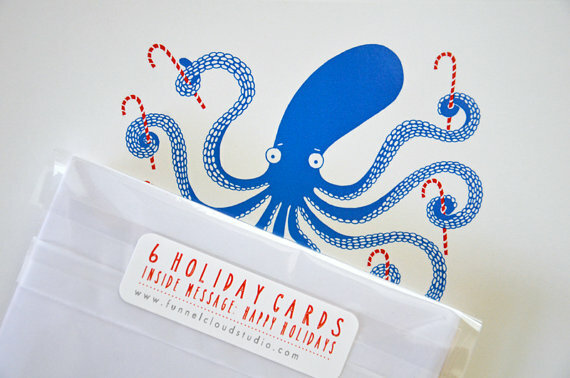 Lots of people send cards with a tree, Santa, or a few reindeer – very few folks send holiday greetings with an octopus. 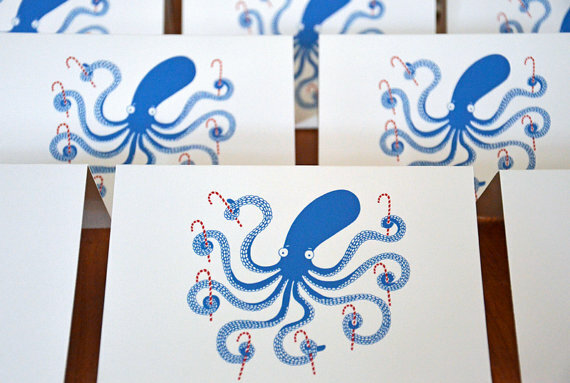 I love these cards so much that I have already placed my order. What do you love more, giving or receiving? What do your holiday cards look like this year? And remember, there is a giveaway everyday! 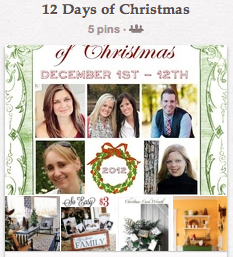 Check out all five bloggers to see who’s giving away today’s Christmas gift. I love giving. I like picking out special gifts for each person. But I will admit, I like receiving esp. small handmade gifts. I had a photo card made with lots of pictures of my grandkids on them. I’m incredibly drawn to the ‘radio flyer’ red, it’s just a warm invigorating colour I’m using more and more of. (you got me inspired to go after more colour so thank YOU) Love your handle on all the cool stuff out there! I love to give! And cards…oh, I need cards. I better get to the store now! I love your selections! They’re all such great finds. I enjoy getting gifts, but definitely enjoy giving them more. There’s something so deeply satisfying about finding just the right gift for someone, wrapping it up just so, and then seeing the delight on their face when they open it. I prefer giving! Our Christmas card is stlll up in the air…it will feature my two kids, but one is in college so I need to have her at home for a photo (missed the opportunity at Thanksgiving). Love the octopus! So glad you like everything! It’s so fun picking out all this great stuff!